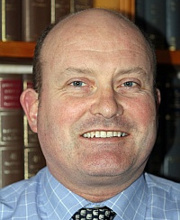 Richard Evans is the head of the family department. He has specialised in family law for over 25 years, accumulating a wealth of knowledge and experience from the numerous matters and situations that he has dealt with during that period of time. Richard uses his wide experience to provide a professional, sensitive and constructive approach to the matters he deals with. 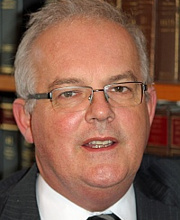 Richard has been a member of the Law Society Family Panel for many years. He is also a "Resolution Accredited Specialist" which recognises his expertise, experience and additional training undertaken in this field. Edward specialises in Personal Injury, Criminal and Regulatory Law, Professional Negligence, Dispute Resolution and Employment issues. 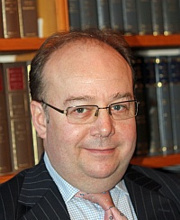 Edward qualified as a solicitor in 1992, and after working at a large Bristol practice, moved back to Malvern in 1996, becoming a partner of the firm in 1998. Edward regularly appears as an advocate before the criminal courts, dealing with the full range of offences from murder and fraud to road traffic offences. Edward has successfully pursued on behalf of clients claims against professional advisers, including up to the Court of Appeal. When not working for his clients, Edward can be found either walking his dog, playing golf or being a taxi service to his daughters. Tamsin joined Gaynor-Smith Owen & Co shortly after leaving college. During her time with us she has completed training to become a Fellow of the Chartered Institute of Legal Executives, specialising in residential conveyancing. As Head of the Conveyancing Department Tamsin assists with the firm's annual re-accreditation to the Law Society's Quality Conveyancing Scheme. 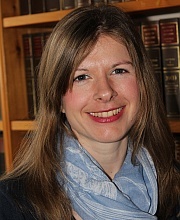 Tamsin is an experienced conveyancer able to deal with all aspects of residential conveyancing. 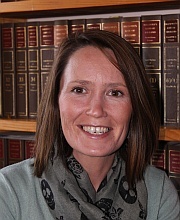 Helen joined Gaynor-Smith Owen & Co in January 1996, working in the Family Department with Richard Evans. Whilst working here she trained as a legal executive and is now a Fellow of the Chartered Institute of Legal Executives. Helen continues to assist Richard Evans, dealing with all family matters including divorce, children, domestic violence and financial matters. In issues of domestic violence, Helen works closely with local support services. Outside of work, Helen enjoys being a mum, walking her dog, helping out with her nephews and baking for family and friends. Marcus joined Gaynor Smith & Co in 2005. He has considerable experience in dealing with all aspects of residential conveyancing, including re-mortgaging, transfer of equity and buy-to-let. Marcus is keen in maintaining and developing links with the local business community. Outside the office, Marcus enjoys rugby and helps coach the Malvern under 14's. Val has been a Fellow of the Institute of Legal Executives and a member of the Society of Trust and Estate Practitioners (STEP) since 1995. Val specialises in dealing with all aspects of estates, wills, lasting powers of attorney and Court of Protection issues. "Clients will be approached in a sympathetic and professional manner and can be assured that they are dealt with in a way that I would treat myself". Susan acts as a consultant for the firm. Sue has a wealth of knowledge and expertise in wills, elderly client issues, lasting powers of attorney and probate matters. 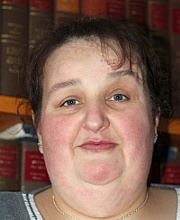 Sue is also a member of the Society of Estate and Trust Practitioners and Solicitor for the Elderly. Susan has wide ranging experience in dealing with commercial leases both for landlord and tenant and the issues that arise from the transaction. Sue qualified as a solicitior in 1963 whilst working in London. Sue, with her husband Adrian, were founder members of Gaynor-Smith Owen & Co and formed the partnership in 1973. Prior to becoming consultant, Sue held the position of senior partner.